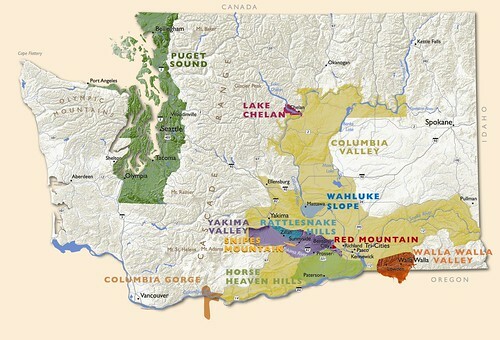 My annual top 100 list is focused exclusively on wines from Washington state. The methodology is simple: I look through a year’s worth of tasting notes, and select one wine from each of 100 wineries for inclusion. No winery is represented more than once, though different wineries under the same ownership may be. 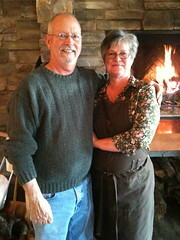 The wine o’clock wine bar is Ron and Susan Bunnell’s bastion of good food, good wine and good taste. A very welcome stop on the long road from our home in Seattle to our home in Waitsburg. The wine bar has been discovered by the locals, but due to some fairly discreet signage, I suspect that a lot of city travelers heading into wine country might not find it. 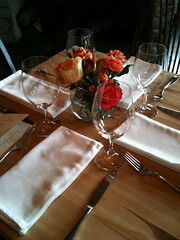 It is set in the heart of the Prosser Vintners’ Village, sharing quarters with the Bunnell Family Cellar tasting room. Wine o’clock is closed for the holiday today through Friday, but re-opens with a bang on Saturday, just in time for the Thanksgiving open houses that many area wineries are hosting. The regular hours are noon to 7pm Friday and Saturday, noon to 5pm Sunday and Monday. The menu began as a paean to wood-fired pizza, but now includes daily specials that elevate it to white tablecloth status. On a recent day, for example, duck and Kobe beef were on the specials board – both outstanding. I wouldn’t pass by the pizza, however. My pear, bacon, green onion and aged cheddar pie vanished without a trace in a nanosecond. In my Seattle Times column for April 9, 2008 I wrote: “I don’t think that there are better red wine values in the world than some of the malbecs coming out of Argentina.” The column went on to review a number of recommended value wines, selected from dozens that were tasted. Since then, things have only gotten better. Malbec now accounts for a third of all Argentine wine exports, and an astonishing 53 percent of Argentine exports to the U.S. 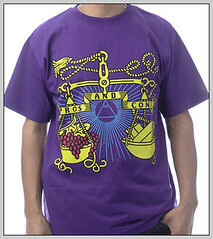 But most consumers are stuck on the low end – the value bottles, that rarely cost more than $12. Although some very fine wines can be found in the bargain bin, the real sweet spot for the wines – which number among them some of the greatest red wines made in the New World, is at higher price points. 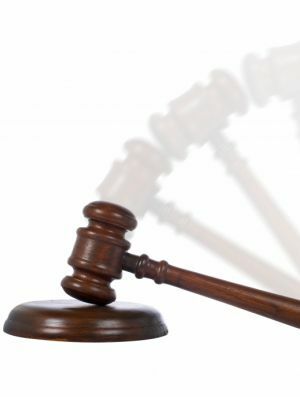 The super-expensive versions can fall victim to Parkerization – over-ripe, over-oaked, over-saturated. But the wines profiled here are not over the top; but they do over-deliver. 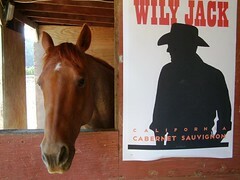 Often they are pure malbec, though sometimes a blend is made. Argentina has old vine vineyards, meaning 60 or 80 years old; sometimes even older. The country also can claim the world’s highest vineyards – some over 7000 feet. Wines from these higher altitude elevations incorporate a gravelly minerality. 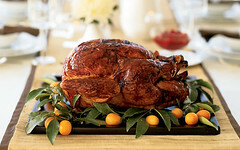 They have sharper acids and more delicate fruit, and bring a lovely precision and focus to the flavors. Though malbec is one of the lesser Bordeaux grapes, in Argentina it is the star. Imagine a truly elegant version of cabernet sauvignon, coupled with the softer tannins of merlot and the spicy coffee and tobacco notes of cabernet franc, and you have a fair handle on malbec. 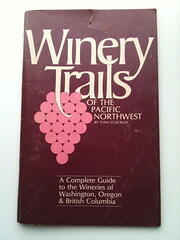 In “Winery Trails of the Pacific Northwest” the late Tom Stockley set out to write “a complete guide to the wineries of Washington, Oregon & British Columbia.” Written in 1975, the book included black and white label reproductions for each of its 25 entries. Among them were eight from Washington – Alhambra, Associated Vintners (now Columbia), Bingen, Hinzerling, Manfred Vierthaler, Preston, Puyallup Valley and Ste. Michelle. Four survive among the more than 650 Washington wineries today. 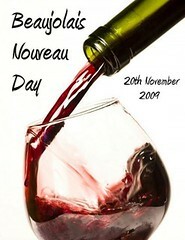 One of the most successful wine promotions in the past three decades has been the selling of the Beaujolais Nouveau. Back in the early 1980s, some wine writers (I was not among them) were actually flown to Paris on a private jet to sample the wine in the local cafés! Ever since, “le Beaujolais Nouveau est arrivée!” has been the rallying cry of the post-harvest season, with shops around the world offering these “first wines of the new vintage” on the third Thursday in November. A story crossing the AP wire this morning reports that a “lost” cache of McKinlay and Co. whisky, shipped to the Antarctic by British polar explorer Sir Ernest Shackleton a century ago, will be excavated and (possibly) re-created by Whyte & Mackay, the drinks group that now owns the distillery. Two crates of whisky were discovered buried in deep ice in 2006. According to the story, Whyte & Mackay's master blender, Richard Paterson, believes the whisky could still be drinkable. It’s a curious and troubling fact that most of us (myself included) know more about the wines of Europe, South America and Australia than we do about the wines of our closest neighbors – Canada and Mexico. Now here’s a wine book that does not have any intention of taking the snobbery out of wine – yet does so perfectly. 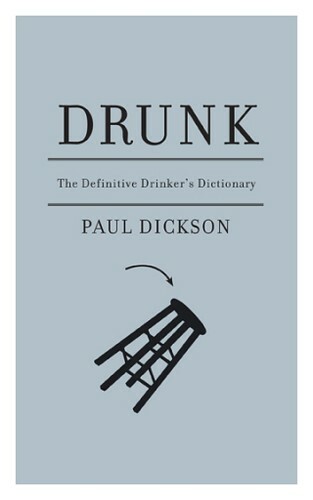 Calling itself “The Definitive Drinker’s Dictionary”, “Drunk” was conceived and written by lexicographer Paul Dickson of Merriam Webster. Dickson has put together a collection of 2964 synonyms describing – (to put it delicately) – inebriation. A sampling: blitzed, roasted, on the sauce, whazood, whiskey frisky, and (a particular favorite) Boris Yeltsinned. This is the wine book season, when publishers release the latest updates, revisions, exposés and guides in hopes of landing under someone’s holiday tree. 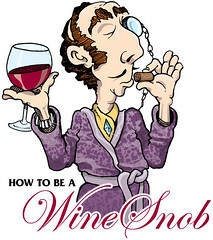 It is the rare wine book – new or old – that does not immediately promise to take the “snobbery” out of wine. To make wine more “accessible.” To (finally!) relieve readers of the burden of plowing through dull wonkery, and instead, help them find the shortcut to wine pleasure. The structural, economic and oversupply problems of the Australian wine industry have been news fodder for the past year or more, but rarely if ever has any industry trade association issued a statement as unblinkingly honest as the one that came out yesterday, co-authored by four different groups. A frequent criticism of Washington state wines is that there is often such a gulf between the grower(s) and the winemaker. For decades, many vintners simply trucked grapes over the mountains to wineries in western Washington, making only infrequent visits to the vineyards in the east. This is much less common today. 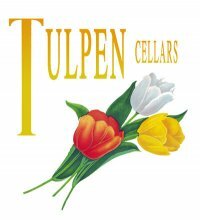 Many of today’s leading wineries who began this way – Andrew Will, Betz Family, Cadence, DeLille, Quilceda Creek are some examples – now own vineyards and/or manage specific rows and purchase fruit by the acre, not the ton. Most wineries in the Walla Walla valley still purchase a percentage of their fruit, but that is a defensive measure, because so often the valley vineyards are hit by rather severe freezes. Christophe Baron took a different course from the beginning. “I am a vigneron” he quickly explained the first time we met, almost ten years ago. Vigneron has a particular meaning in French that is not easily duplicated by an English equivalent. Essentially, it refers to someone who owns a patch of land, grows grapes on that land, lives on that land, and makes wine exclusively from those grapes. 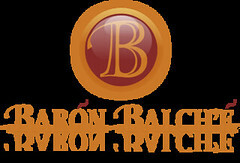 That is what Baron set out to do from the beginning, and has done since the 2000 vintage. It’s commonly referred to as Cayuse Weekend – the first weekend in November, when dozens of Walla Walla wineries offer their new wines. The town fills with tourists, restaurants are overbooked, and some late-comers find that the closest lodging is in Prosser – over an hour away. It’s a well-worn truism that great wine is made in the vineyard. And there is no doubt that Washington’s best bottles start there. 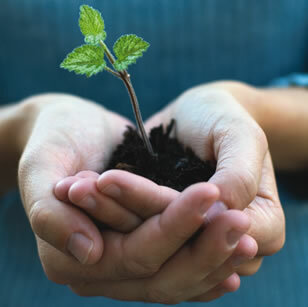 But most often there is a collaboration between a talented grower and a dedicated winemaker. 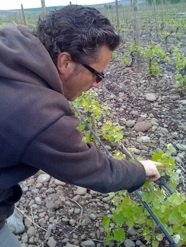 Or there is a vineyard operation with a winemaker on board. 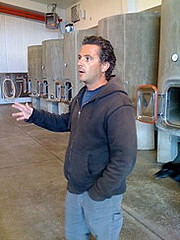 But rarely do you find a vineyard manager who takes that expertise and turns to winemaking. “Does Green Sell Wine?” is the provocative question raised by Wilfred Wong in his column in the current issue of Vineyard & Winery Management. Wong is BevMo’s cellarmaster, and a dedicated participant in wine judgings – last we spoke he said he averaged more than one major competition a month. He tastes a lot of wine, and he sells a lot of wine. 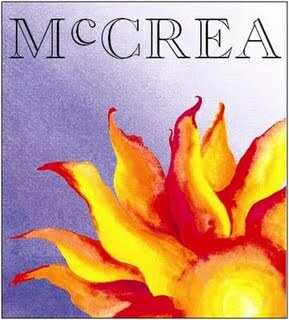 Another winery missing from the recent Wine Advocate reviews is McCrea Cellars. Founded in 1988 by Doug McCrea, this winery has done more to break new ground with Rhone varietals than any in the state. Throughout his two-plus decades in the business, McCrea has never stopped exploring, pushing the boundaries of what is being tried here, while maintaining a track record of excellence. Conspicuously missing from the recent Wine Advocate Washington reviews were the wines of Hedges Family Estate. 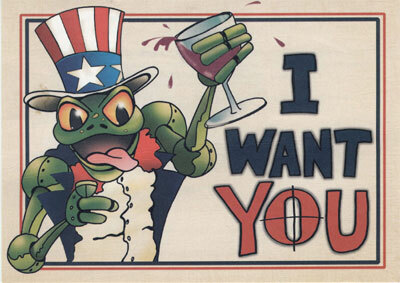 But those who know the Hedges family will understand it is not a comment on the quality of the wines, but rather the strongly felt belief on the part of all the Hedges that their wines should not be scored. Over the years, in the course of many discussions, I have been able to sit down with Tom, Anne-Marie, and (occasionally) Christophe to taste and discuss, and they have contributed a great deal to my understanding of their wines, their terroir, and their philosophy.